SOAPware DocumentationSOAPware FAQ'sFAQ's Summary/SOAPnote SpecificQ: Can I hide or remove field headers in the Summary or SOAP Note chart sections? 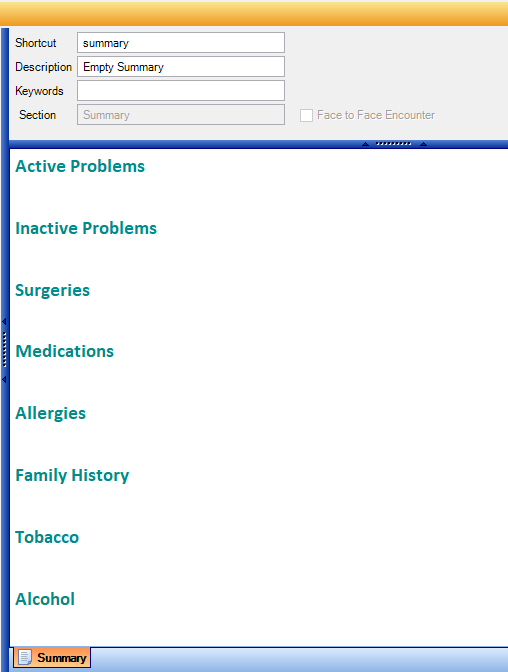 A: Yes, it is possible to hide/remove a field header from the Summary or SOAP Note chart sections. This change will reflect on newly created patient charts, but not on existing patient charts. To remove the unwanted field headers, open the Templates window. This can be achieved by pressing F6 on the keyboard or by clicking Docutainers > Templates. 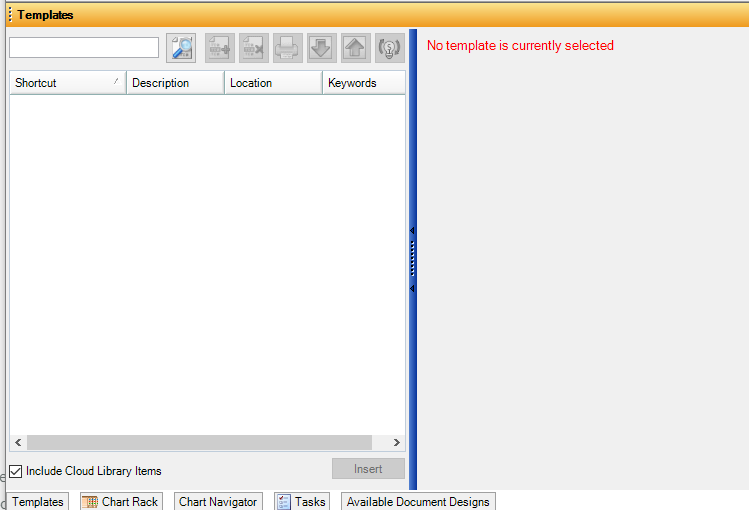 To search for a template, enter the name of the template into the search field. Click the Search button. 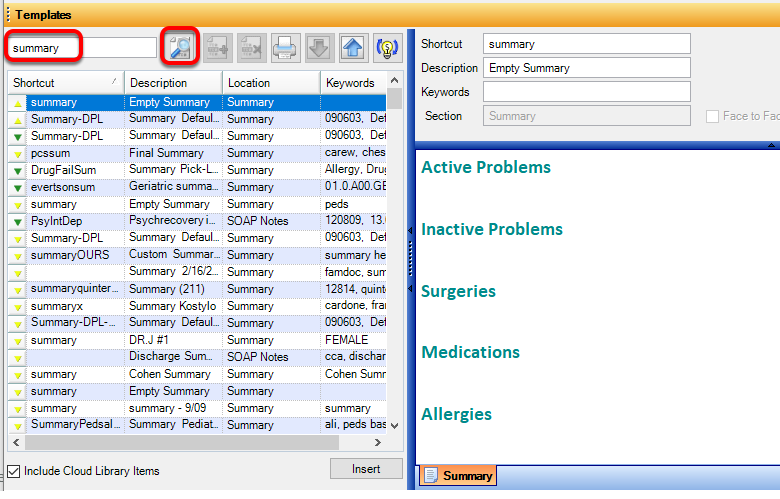 A list of templates for the "summary" search will display in the window. The template in need of modifying is usually the default template for a particular chart section. Highlighting a template, will display the information in the template preview window. 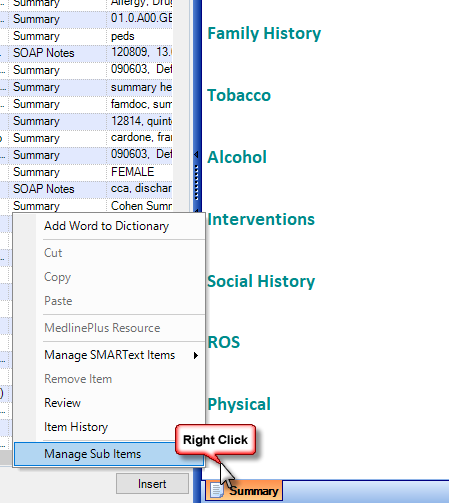 Right-click at the very bottom of the template and select Manage Sub Items. 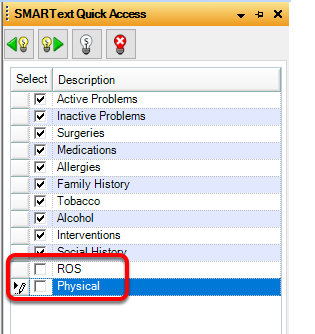 The field headers in the Summary default docuplate will display in the SMARText Quick Access Window. Deselecting field headers will hide/remove the field headers and reflect this change in the current template displayed in the templates window. ROS and Physical field headers have been removed/hidden in the current template selected. 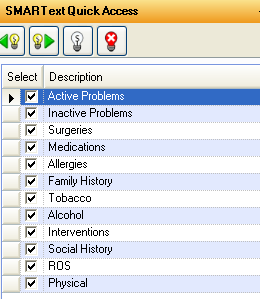 Previous Lesson: Q: How do I add or remove the Provider name in the Follow Up field? Next Lesson: Q: How do you reassign ownership of a SOAP Note to another Provider?